If yo u have a solar heated of energy efficient minimally heated greenhouse, then this is the time of year that you really need to pay attention to planting now for winter greenhouse growing. Be sure to check out my free ornamental and vegetable planting schedules here. You absolutely need to get those seeds ordered and started before the days get really short, the nights get long and cold sets in! Seedlings don’t take up much space so you can always make room for your next crop. When it comes to veggies in cool greenhouses, focus on the leafy greens, cole crops and root crops. When it comes to cut flower ornamental for the winter bouquet, look for sweet peas (variety “winter elegance”), pansies (most any do great), and snapdragons (stick to the bred for winter “Maryland” series). 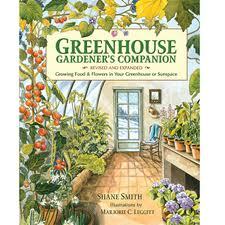 Listen to the recent two-part podcast interview with Shane Smith talking about his career in promoting home greenhouses with Jennifer Ebeling, who runs the 6ftmama.com gardening blog and Still Growing podcast. nothing new when it comes to basic solar heating as we have been advocating for over 36 years, it appears to me that they are doing everything right. It is good to see kit manufacturers embrace this at long last. Similar to this kit is Charley’s Phoenix greenhouse and the Growing Spaces dome greenhouse. The only thing I don’t see on the Suncatcher Greenhouse site is a price which tells me that they probably are pretty pricey. Still I’m pleased to see another kit greenhouse push the 100% solar goal! Check out these great Haiku poems about greenhouses that came from Jennifer Ebeling who has the great gardening and podcast site 6ftmama.com. Listen to the interviews with Shane Smith here. New research indicates that supplemental LED lighting increases the vitamin C content in tomatoes. Read more here. Check out this research paper from Clemson on how the Chinese are growing nectarines and peaches in climates not suited to these fruits. Click here to read. Using water drums for solar heating? If you are using metal water drums (like 55 or 30 gal. drums) for solar greenhouse heating, you should think about the addition of drum covers. Drums have a lip on top which can hold water and thus, the standing water in metal drums can promote premature rusting. 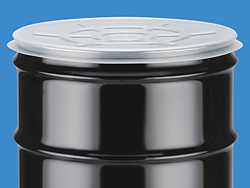 A plastic lid prevents this rusting and lengthens the life of your water storage. To read more about energy conservation in the greenhouse click here. Pineapple Guava Rocks in the Greenhouse! Pineapple Guava flowers with edible flower petals and great tasting fruit. Be sure and check out my discussion on grafting tomatoes. You can do it yourself or order pre-grafted tomatoes. Let me know how it goes for you! I’m about ready to graft a bunch right now. Whole Foods is teaming up with rooftop garden company Gotham Greens for its next New York location. When the lettuce only has to come down a staircase from the roof, that’s about as local as you can get. Read more here.